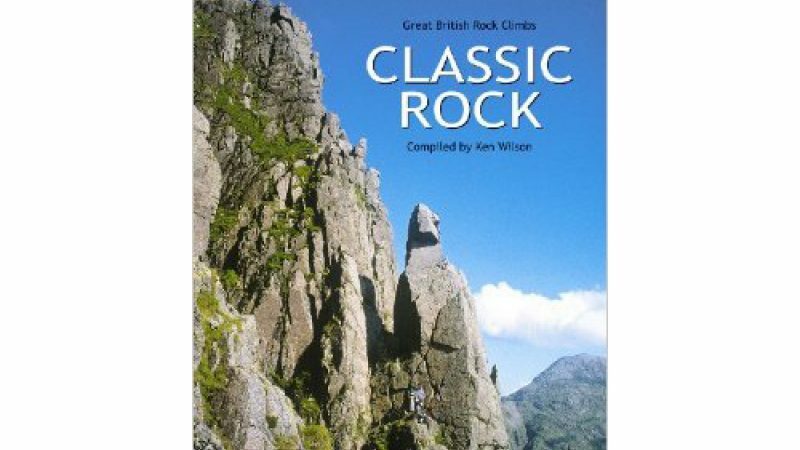 All the rock climbs in the Lakes listed in Ken Wilson's Classic Rock book, climbed in 24 hours, on foot. 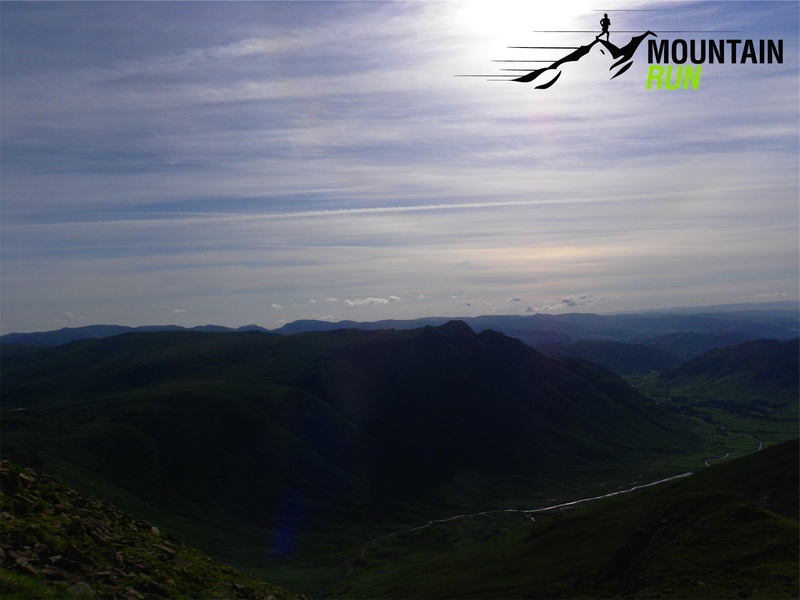 The Lakeland Classic Rock Round is a hard day on the fells, combining 15 classic rock routes by running in between each climb. 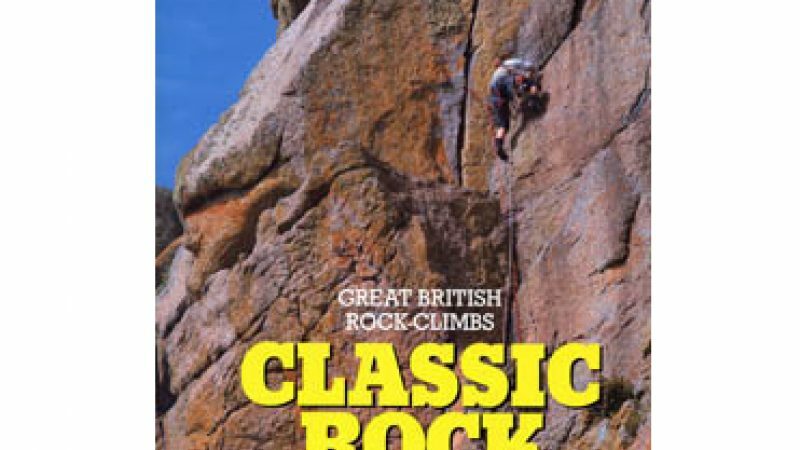 Some climbs are climbed up, some down, all are listed in Ken Wilson's 'Classic Rock' book, iconic still now. Not many have completed this round, although many more should have. Firstly, what is the Lakes Classic Rock Challenge? 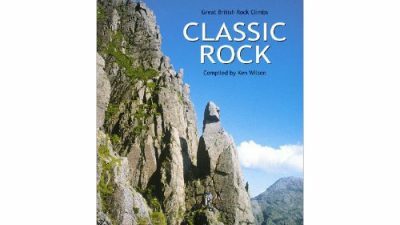 It’s a link up of all the routes in the excellently compiled Classic Rock by Ken Wilson. 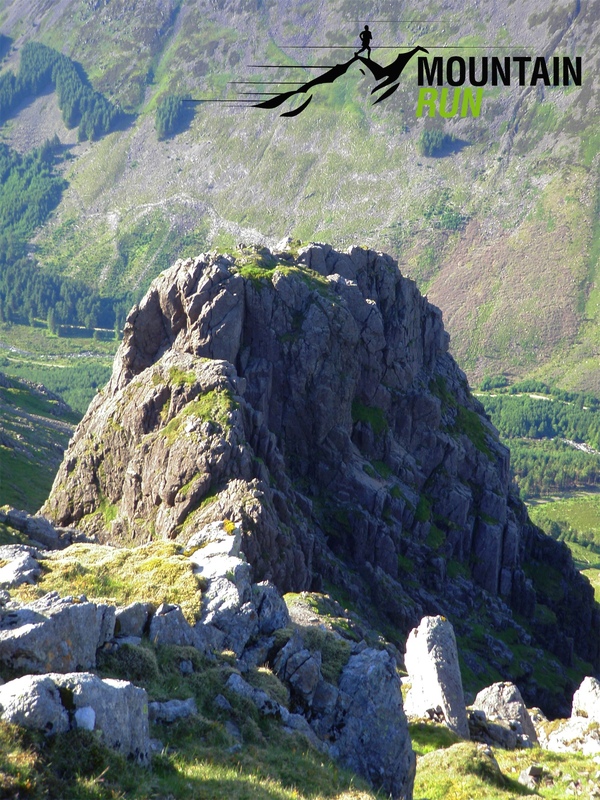 I might hear you grumble, if you don’t know this challenge, well what has it got to do with fell running and why are we reading it here? The reason you’re reading it here is that the link up is done on foot and this means running between each route, which in essence is fell running. A little history. As far as I am aware, the first to string it together in 24 hours just, were 3 friends, Mike Van Gulik, Dave Willis & Tim Gould, you can read their account on Needle Sports website, in an article called A Race Against Time. They did it with the use of a car, between certain crags, so this is not a pure round in running terms, but they did open the idea for the next guys to follow. Next, many years later, so it is more than possible that others did it in between, stepped up Nick Wharton & Brian Davidson. Their account can be read on the Outdoor Warehouse’s website (no pictures I’m afraid). Nick & Brian ran & climbed together, taking a 20m length of rope, 5 nuts/wires, and a couple of slings & quick-draws just in case they needed it. By Nick's own admission, whilst I chatted to him on the phone, the challenge was not about climbing for these 2, as they both operate in the E5/6 grades, so are comfortable with solo’s on most of the routes, but they did rope up for Murray’s on Dow, given that it was dark on their departure. Nick suggests you must work out what it is about for you, before you have a crack, is it running, or is it climbing? Nick & Brian completed in 19:38. Since hearing about the challenge it has been on a little mental list I keep, as we all do, of one to complete. This year I managed to find the time to train, alongside a good climbing buddy, Mike Elliot, and get the challenged ticked. The specifications: The route is 52.2km long and ascent of 4292m, with a descent of 4648m, as you start higher than you finish. Starting at Dow Crag at 3am we climbed Murray’s Route (MVS) under the beams of our head torches, the clock started here. Summating Dow Crag from the top of Murray’s we headed down to Goat Hause, following the Duddon Valley race route in reverse round the back of Brim Fell and Swirl How to come down to 3 Shires Stone on Wrynose, as we did, the sun rose and our head torches were switched off. Next was up to Red Tarn & down into Oxendale, crossing this and Mickledon to climb the steep slopes under Gimmer Crag. The time was around 5:30am. Gimmer is impeccable rock, and the routes are pretty simple, so we soloed Ash Tree Slabs & C Route, on C Route Mike couldn’t feel his hands and it seemed a little serious all of a sudden. Then we were at the top of the crag and we headed down the south-east gully to the bottom of Bracket and Slab and with the day now starting to warm and the rock that was so dry, we decided on climbing B & S solo and what a treat it was. Next we skipped off the top of Gimmer and down to Martcrag Moor, following the BGR under Black Crag and behind Rossett Pike, but instead of ascending Bowfell you head round and under the slabs and crags to find yourself climbing the final section on big block scree to the foot of Bow Fell Buttress. BFB was in full sunshine, I never knew the sun shone here and we soloed the warm rock like we didn’t have a care in the world, this was definitely a high point for me. From the top of BFB you head to Esk Hause, which should have been via the Langdale Fell Race route backwards, but I didn’t know the path, so we headed over Esk Pike and onwards to Scafell via the massif of summits on the way. We soon reached Scafell Pike, at around 11am and moved quickly on into Mickledoor and to the foot of the next route, Jones Direct. The route was fine, but the descent into the ghyll/cleft next to it was not, this was far more serious that anything we had climbed up and time was lost here making sure we were safe. Next came Mossghyll Grooves. For some reason this has a air of fear in lots of voices when it’s talked about, but after recce-ing it and then climbing it on the day, I really don’t know what the fuss is all about. Its MVS, but not hard for its grade, just exposed and beautiful, every move a real pleasure until you all to quickly reach the top & then its back down Broad Stand, and off to the corridor route that takes you to Styhead Pass. The next crag you get to is Napes and this holds Tophet Wall, a complete classic and one I would like to solo, but today we roped up. This went well, but I cooled off towards the top and we made a slight mess in moving to the top of the next route, Needle Arete. I led us down here solo, with a clanky body and fear in my mind, I had to control it, as a fall would obviously be bad, most likely fatal, but all was soon well as we neared the bottom, my body had warmed up and I was flowing again. 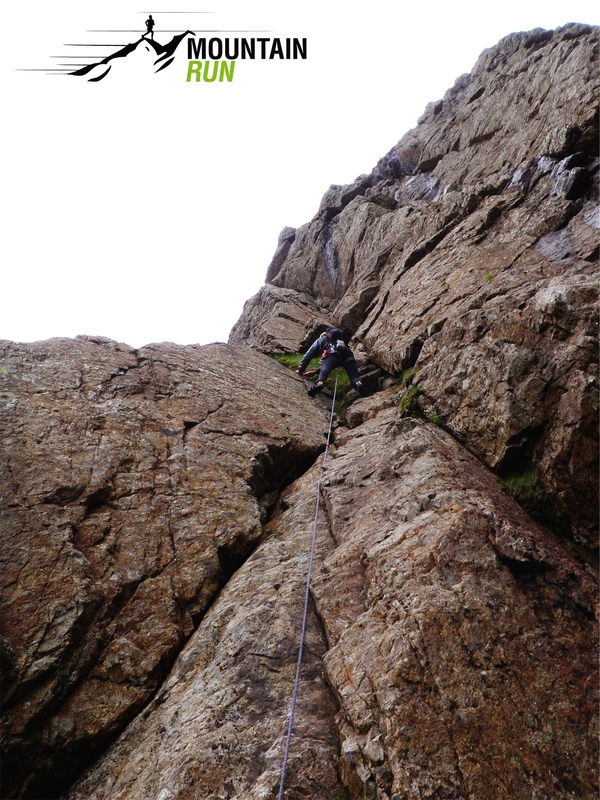 We came across 2 other climbers on the Needle itself (Napes Needle) and they very kindly let us climb past them. They knew of the challenge as we chatted and wished us well. I think they thought we were slightly nuts. We dropped onto the path under the Needle and headed to Beck Head between Kirkfell and Gable, and followed the path around the back of Kirkfell to Blacksail Pass. Here you can either follow the ridge to the summit of Pillar and head down to the crag, or do what we did & pick a path up that heads towards Robinson’s Cairn from above the Cloven Stone. Mike was starting to find the running was grinding him down, but then he is the climber of the 2 of us, I am the runner. It was a running challenge for him, for me it was about the climbing. 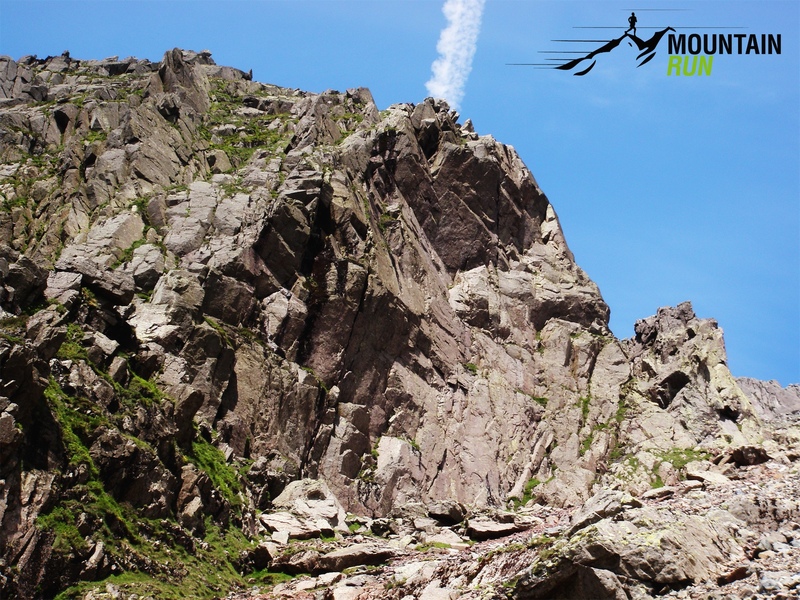 The routes on Pillar (Slab & Rib – HS and North West Climb – VD) are some of the best of their grade in the Lakes and we climbed them steadily. This took us more time, as for each route we descended to the foot of the crag, others have down climbed one and then climbed back up the other, this will save time, but we felt it safer for us the way we chose. 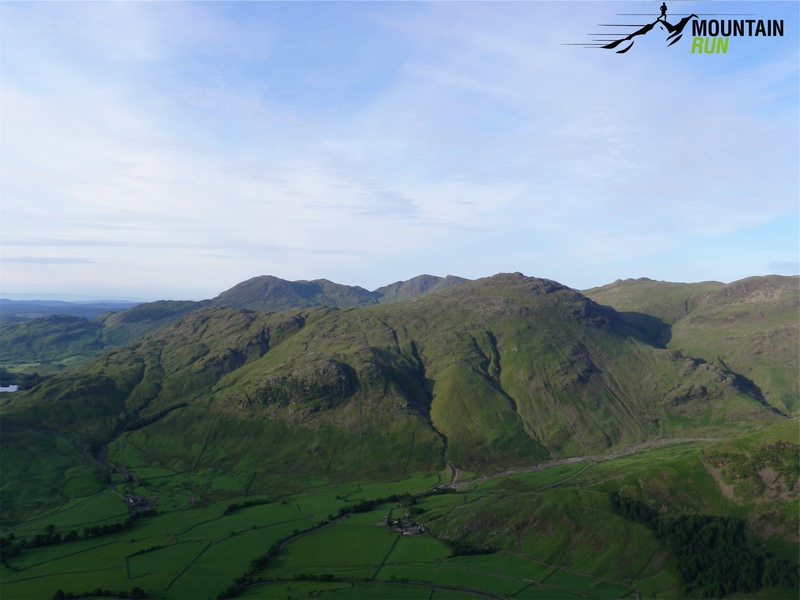 After the hard track past Robinson’s Cairn, we decided it better to summit and run down the ridge and so we found ourselves running past Gable Crag and walking the ascent from there up Moses Trod. You come behind the summit of Brandeth and cut through the col between that and Grey Friars to find the top of Gillercombe Buttress. Again we ended up cold on top of here and as I led us down, placing gear to protect Mike as I went, I found the crack on this top pitch hard and very intimidating, but then the time was 9pm and we’d been on the go since 3am. We were soon at the foot of Gillercombe, heading down Sour Milk Gill and to the road that would take us to our last 2 climbs. 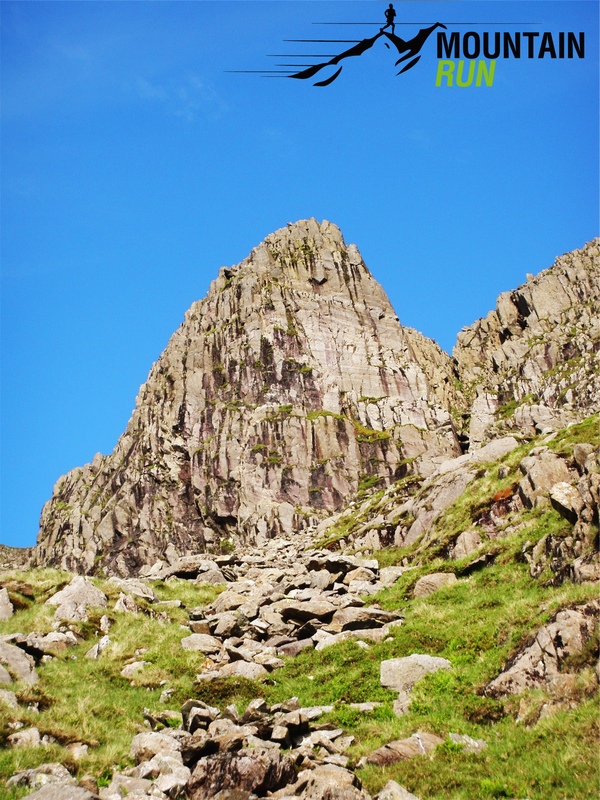 But the sting in the tail here is a 7½km road run before you get to Black Crag. Mike was a trojan here and tabbed it out without stopping until we hit the ascent on the path that takes you to Black Crag and the infamous Troutdale Pinnacle. On the ascent up the path he hit a sugar crash and was all over the place. It was to be his lead, but as we sat down to put our shoes on, Mike ate and I geared up. We had mulled over a solo, but this wasn’t happening now. I led, Mike followed and by the time we had got to the top, the night was fully upon us and Mike was fully recovered, well as much as you can be after 14 climbs, 30 odd miles and 21 hours on the fells. We descended with some aches and pains, and made our way along the final stretch of tarmac to Shepherds Crags. On the way, the sky had decided to cloud slightly and light rain started to wet our skin, we had a welcoming party to greet us, but we had not finished yet, so without stopping we made the final ascent up the track to the foot of Little Chamonix, named so for its alpine feel. This was the crux of the whole day and the last route and although on fresh legs and arms it would have been a solo all the way, with the way we felt and the dampness on the rock we opted for a rope. 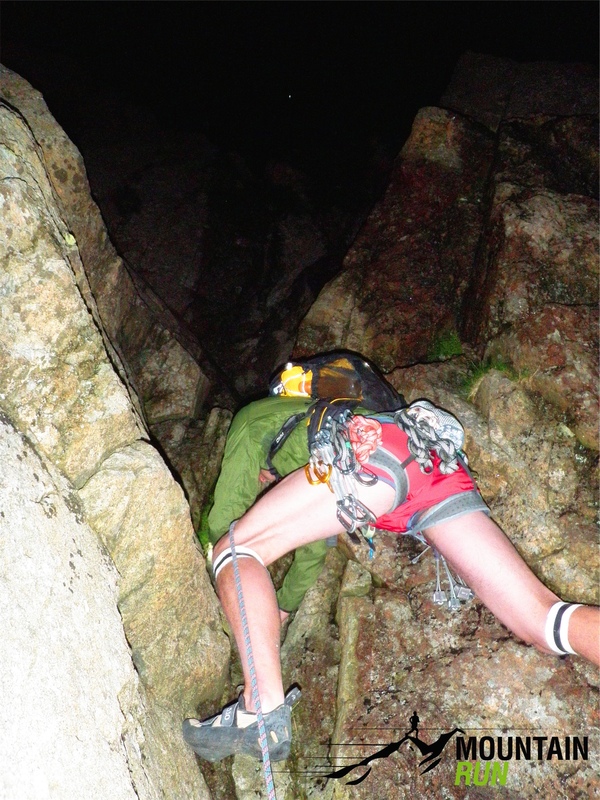 The final moves on Little Cham are big jugs and brilliant exposure, but with the darkness upon us the exposure was negligible, but the feeling of elation to pull over the last hold and stand on top of the crag was fantastic. I had been waiting around 6 years to complete this and now it was done. It was a great way to spend a day with a good friend, share the mountains and enjoy the running and climbing. It was tough, but never too much and I enjoyed it completely. 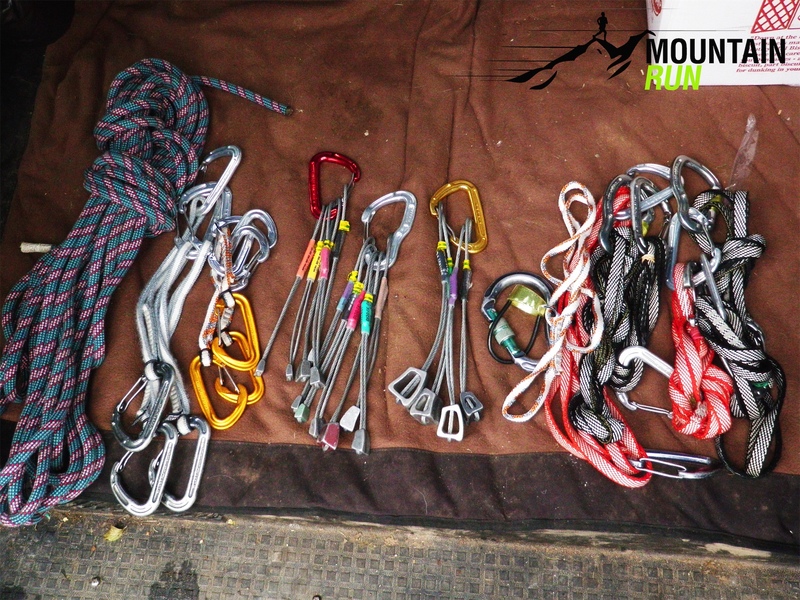 Below is a list of kit we took, we tried to keep it to a bare minimum. Nick and Brian took less, but they climb harder. 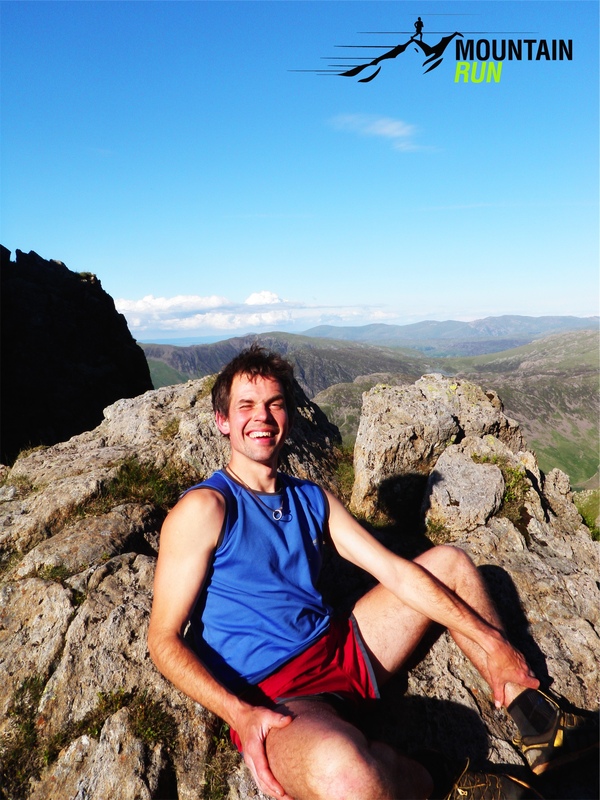 Mark took nothing, but he is more used to long pushes & soloing in the UK and Alps. We wanted to be light, but be safe. For us it was right. There of course is no right of wrong way to complete this challenge. Do it in 24 hours, take 3 days. Take a full rack or go for it solo, you are your own master, but whatever you do, make sure it’s what you are comfortable with. As Nick had said to me, they could have soloed the whole thing, but what a shame it would have been had they got to a route to find it was wet and then they wouldn’t have been able to continue what they had started. ​Solo and Unsupported - Sunday Oct 16th 2005 - By Mark Thomas, the current record holder.